After suffering a series of disabling strokes, the breakdown of her marriage, and the loss of her job and her home, almost inevitably Anita suffered a major mental health breakdown. That was when friend Nikki suggested that Anita come along to Maidstone and Mid-Kent Mind. “I was desperate for help, but I would only come in for ten minutes at a time, that’s all I could handle”, she recalls. But Anita’s story has one additional chapter, of which she can be very proud. Some years ago, she worked as a teaching assistant, helping children with special needs or with challenging behaviour. “It was my life, and I really wanted to get back to doing something as worthwhile as that”, she says. And she has. 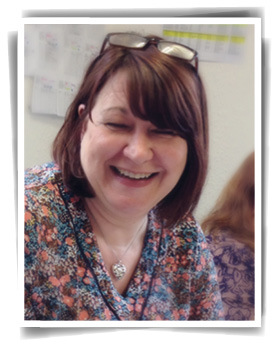 Today, Anita is an active volunteer and bank staff member for Maidstone & Mid-Kent Mind, going into schools and delivering a course called `Managing Me’, helping young people facing their own struggles with life. She also helps out at Mind’s cookery and arts and crafts classes.